Our Springmoor Residents are active volunteers in the city as well as here on campus. Most of them began volunteering when their children were young and their careers were just beginning. Now that retirement offers more free time to pursue activities and causes that are dear to their heart, the list of volunteers is long and the number of organizations they work for is even longer. The passion to serve and the dedication of many of our residents is very inspiring! Mary Rollins has been an active volunteer and State President of Quester’s of North Carolina, a historical preservation group. There are three chapters located in The Triangle area with each group choosing projects that need their help. 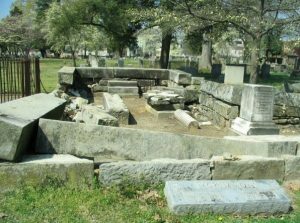 Mary’s group has most recently raised funds through grants to help restore the William Peace Family Plot in the Raleigh City Cemetery. 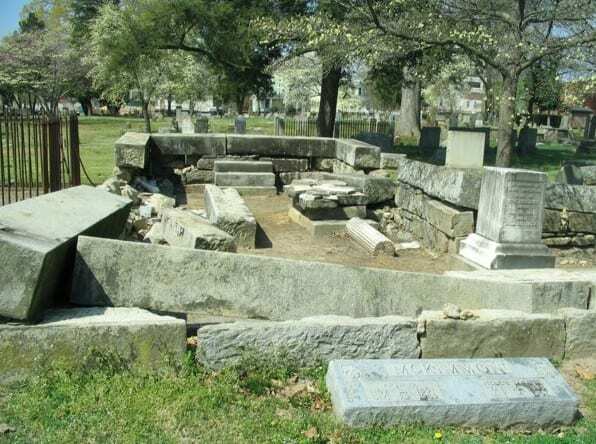 Vandals destroyed the iron fence and five of the graves. With a love of history and a hospital administrative background, this group has found a very dedicated volunteer in Mary. Meeting in each other’s homes, the national organization with groups of 15 to 25, are active participants in historical tours and other preservation projects. They have assisted in helping restore several prints at the North Carolina Museum of Art and furniture and carpet at the North Carolina State Capitol. The group also funds scholarship programs for students pursuing an architectural preservation degree at Columbia University and arts scholars and programs at the Winterthur Museum. Mary is passionate when she talks about these completed historical projects and those they are pursuing in the future but her volunteer time doesn’t stop there. 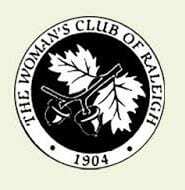 She is also active in the COR Museum (City of Raleigh Museum) and has been a volunteer at the Woman’s Club of Raleigh for the past 29 years. Peg Bedini, a long time volunteer at The Woman’s Club, shares her time with this successful group of women too. Like Mary, she has volunteered for numerous committees within the organization. This active service club recently celebrated their 112-year history. Mary and Peg, along with at least fifteen other Springmoor women, have given countless hours to community arts, international outreach, education in the community and conservation projects around the city. You will find them volunteering to help at Artspace, the NC Symphony, the JC Raulston Arboretum, Communities in Schools, Urban Ministries, Operation Smile and the USO to name just a few. In 1904, Mrs. E. E. Moffitt saw that this progressive town needed the “touch of a woman’s hand.” As she and others began to spread the word about the volunteer opportunities, the excitement began to build. The first meeting was held at the State Capital Library Reading Room and the room was filled with over 300 interested women. Fast forward many years later and Peg and her daughter too, share the joy to serve the community. Peg is an on-call Woman’s Club volunteer now. She says she has “done it all” and prefers to serve whenever and wherever she is needed the most. As they begin their fundraising and planning for the Alzheimer’s project, we know that many of our resident volunteers will be helping. 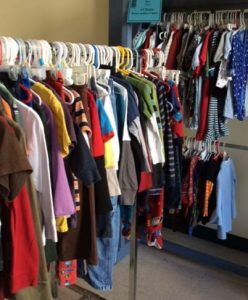 Barbara and Fred McGehee have found their passion in helping others at The Clothing Ministry at the First Baptist Church. Along with 130 volunteer positions needed each month; the two have been active in this organization for many years. Barbara began helping over twenty years ago in what she describes as the “whatever needed doing” position. She goes each Wednesday when the doors open to help assist families with their selections. Fred joined her after his (semi) retirement and helps at the front desk. He loves to talk with each family and help explain how the system works. The McGehee’s have taken this volunteer opportunity outside of the church doors as they shop at local yard sales and retail outlets to find much needed shoes, steel-toed work boots and other donations. They are thrilled when they can strike a great bargain for this much needed cause. For years, men’s shoes were Fred’s project. Whether they were donated or purchased, he would make simple repairs, replace laces and polish them. Having a new pair of shoes, for a worksite or an office job, helps “boost a man’s confidence”, he says with a smile. The team at The Clothing Closet helps clients prepare for job interviews and they provide warm blankets and toiletries. The Clothing Closet served over 16,000 Raleigh residents last year. By word of mouth, the two are called quite often to pick up entire closets full of clothes or other donations. They have one friend who knits twenty hats each month, in all shapes and sizes, for the children and adults. 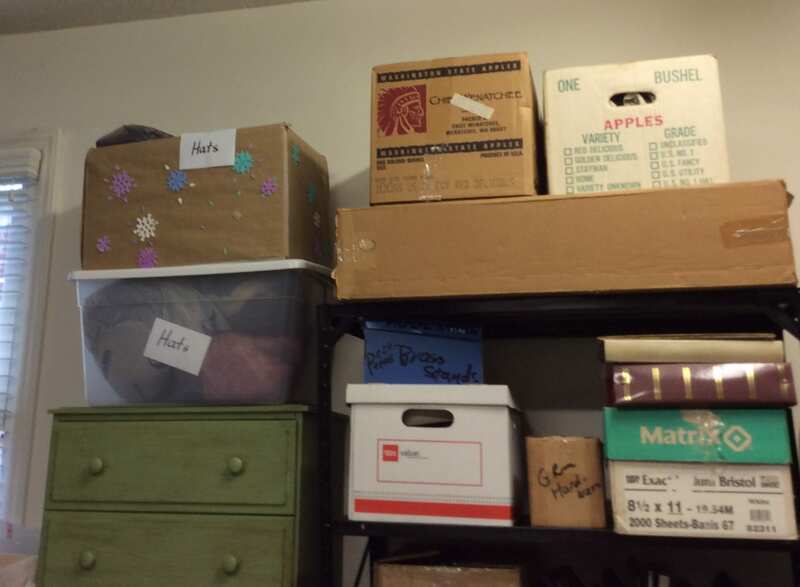 Their garage has become a second storage area for all the items that the two collect each week. These four residents are among the many that help serve in our community. Our residents can be found volunteering at Rex Hospital, The Community Music School, The Helen Wright Center, The North Carolina Ballet, The North Carolina Museum of Art and many other places in town. These four also help on numerous committees at Springmoor; from the Grounds to the Endowment Committee, from the Health Center to the Foods Committee, their service is invaluable. We are happy that they are part of our community!